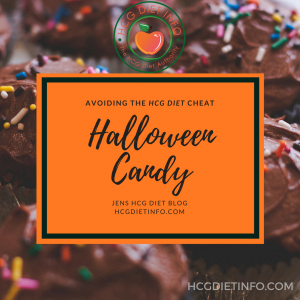 Jens Tips For Dining out on The HCG Diet & during the maintenance phase. HDI Forum Member Question: I just want one simple list of approved foods you can eat during the protocol diet. Obviously high protein is key, no sugar, no starches and a lot of fruits you can’t eat cause of high sugar content. Plus I don’t know how many calories foods have so I can keep it all under 500 calories a day. Any quick reference guides out there anyone can post a link to?? Here is the Simeons Food List including the quantity and calories of each of the Very Low Calorie Diet (VLCD) foods. 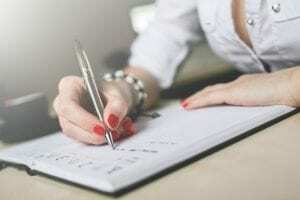 The excerpt from Dr. Simeons Manuscript are essential reads including the expanded Phase 2 hCG Diet Foods List and the guidelines included in the Original Hcg Diet Protocol. VEGETABLES: measured raw; one vegetable per meal; do not mix; ADJUST the serving sizes to fit your 500 calories per day! A word on eating oranges and grapefruit. While these fruits were recommended on Dr. Simeons original 500 calorie food list, they are high sugar fruits and can spike your insulin which can have a number of challenging effects on your body. A widely popular option is to stick to strawberries and apples (green have lower sugar than red) instead of oranges and grapefruits. 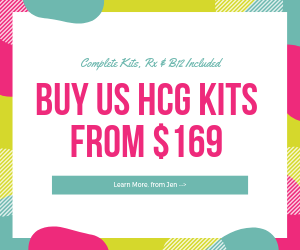 These have much less sugar and a lower glycemic rate and are perfectly acceptable and allowed on all HCG diet protocols and HCG Diet phases. The protein is lean meaning it has the least amount of fat available. This allows your body to burn its own fat rather than having to deal with the fat in your bloodstream. The vegetables are all less that 8 calories an oz and have a significant amount of fiber in them per volume. They are also high in the vitamins and essential minerals one needs to maintain metabolism. The fruits offer antioxidants and enzymes which allows the body to continue to flush toxins and help with digestion. 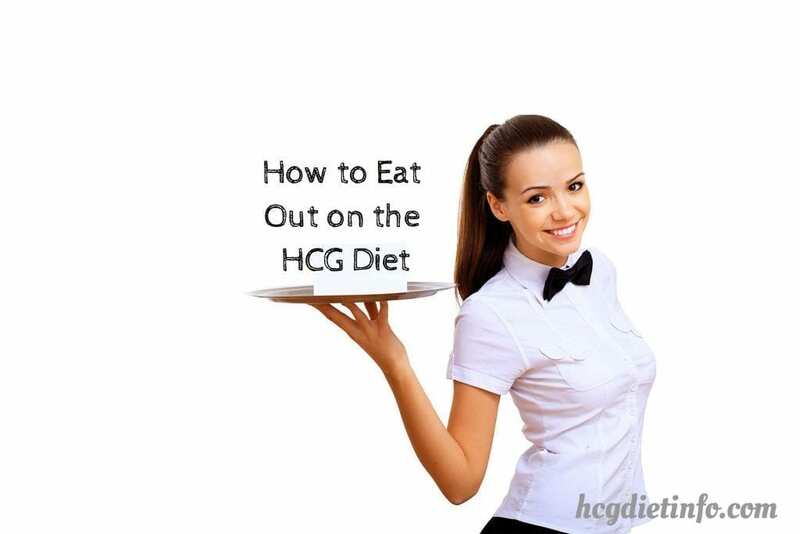 These are my own personal tips for eating out on the HCG Diet. 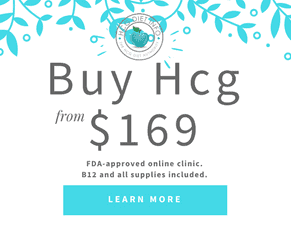 Honestly, it has been over a decade since I’ve been on the HCG Diet (although I have recently had a baby and am starting the HCG Diet again this month to get rid of some post-baby weight) and these habits have become second nature. The best advice I can give you though… is to not stress about it. Don’t take it so seriously and enjoy yourself. Check out their menu before you go. Yelp and Google are easy options for seeing a restaurant’s menu before you head out. Plan ahead for what you will order to avoid impulse ordering… which is especially risky when you are first sitting down and hungry. If they offer bread… decline. If you are dining with someone that wants bread, put it on THEIR plate… not in the center of the table. Opt for water, tea or sparkling water. Even if you order sparkling water or tea, ALSO order regular water. Nothing cleanses and hydrates like water. Portion sizes: Ask for a separate plate and to go box from the start. Anything served to you that is not within your portion size, immediately pack it away for tomorrow. Greens. Make sure there is something green on your plate. Better yet, have a salad before your entree. Just a word on salads: iceberg is virtually water. Opt for spinach, arugula, etc. Pass on traditional dessert. If it’s offered, have strawberries if you’d like. You can even pack a sweetener in your bag to top them off, but chances are, the dessert menu can wait- after all, there’s probably nothing here you can’t have in a few weeks! Get in the habit of having tea or coffee as your after dinner “treat.” For some of us, an after dinner “top off” is an enjoyable experience and we don’t want to stop that. Instead of breaking into a piece of chocolate cake, order a tea or other option. There is honestly something much more satisfying about nurturing your body in this way, than eating something that just doesn’t make you feel good- physically or emotionally. You probably won’t want what you were once craving. Once you have been eating healthy for several weeks, something changes and honestly, what once appealed to you, probably won’t anymore. Take advantage of this and get in the habit of making healthy choices. 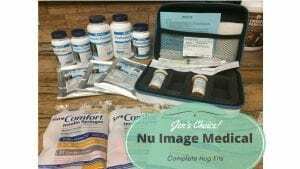 If you really want something that was off limits while on the HCG Diet Phase 2, have it. Start with a bite. Set your fork down. Have some water and enjoy your dinner company. If you find yourself wanting more… have a few more bites. I often feel satisfied before my 5th bite and I’m more than satisfied continuing with healthier food options. If you’ve opted to have something that was off limits on phase 2, but is acceptable on Phase 3 or Phase 4… enjoy! Just remember to stick to portion sizes, utilize doggy bags and eat mindfully. If you have eaten something you feel was a bit “over the top” go for a walk, or add another activity to your evening routine. 10+ years post HCG Diet: Prior to having my baby last year, I ate out every single day. Yes, every single day. Sometimes twice a day. I didn’t gain weight as long as I stuck to a few simple tricks. If I strayed from my healthy habits, I usually felt “icky” and after a while, I would gain a few pounds. These would fall away on their own, once I resumed my usual approach to dining out. Water. If the table was having cocktails, my drink of choice was a vodka and soda- 60 calories. I would also ALWAYS order an additional glass of water. Yes, I’m a two-fisted drinker 😉 If I was at an establishment that was known for wine, I would stick to reds because they have far less sugar than white wines. I often order from the appetizer menu rather than a full entree. Tuna poke, Tuna tartar, chicken satay, ahi tuna salad, various salads with spinach and/or arugula. I don’t bother with iceberg salads since they have little to no nutritional value. I know they will not fill me up, nor give my body what it needs. Fish first, then chicken, then beef. I check the menu for something that looked good in that order. I tend to avoid pork since it is really not very healthy and quite high in fat. I love just about any tuna dish. Salmon also, but any fish dish is usually the healthiest on the menu. Salmon (wild caught Alaskan salmon is the healthiest and lowest in mercury.) Here are a few other options based on Seafood Watch and Blue Ocean healthy fish lists: (seafoodwatch.org). 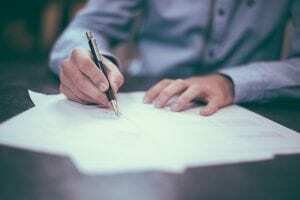 The Blue Ocean Institute (blueocean.org) also has sustainability ratings and detailed information. Salmon, Albacore Tuna, Oysters, Roughy, Alaskan Pollock. Dessert. If there is a signature dessert I want to try, I will offer to share it with my dinner company, or I will have a few bites and take the rest home. Take home a doggy bag. Before the HCG Diet, I would dive into that doggy bag the minute I got home… every…single…time. Now, I tend to offer it to my sweety- I just lose interest in it once I’ve had some. 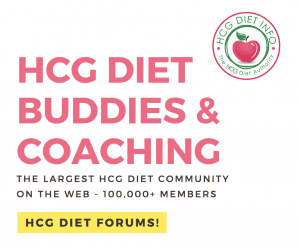 There you have it… a few of my basic tips for dining out on the HCG Diet… and after. I would also like to add something. As I mentioned above, I have recently had a baby and well, that isn’t ideal for my love of eating out. Since my foodie habits still call to me, I have learned to cook. Yes, the woman who didn’t know how to turn the stove on until she was in her mid-thirties (you PUSH IN and turn) is now whipping up grand Thai dishes and making my own desserts. I have actually found it to be better than dining out in many ways. Check out my articles on HCG Diet Recipes, HCG Diet Cooking and Maintenance Cooking for tips and recipes!